Olympic Gold medalist McKayla Maroney spoke out for the first time since coming forward as a victim of sexual abuse at a luncheon for the New York Society for the Prevention of Cruelty to Children (NYSPCC). Inspired by the “#MeToo” movement, which was spearheaded by women exposing the sexual abuse they suffered at the hands of Hollywood producer Harvey Weinstein, Maroney felt obligated to speak up about her own experience as a victim of sexual abuse. She felt it was her “duty” to prevent this from happening to future gymnasts. Maroney was 13 years old when she was first sexually abused by disgraced Larry Nassar and says she was “taught” to stay quiet. She trusted USA Gymnastics and Nassar and truly believed they were only “looking out for her” in her journey to, and dream of, competing in the Olympics. What she suffered at the hands of predator Nassar would soon teach her otherwise. But she isn’t only shaming former gymnastics team doctor Nassar; Maroney is also rightfully calling out all the organizations including the USOC and coaches alike that employed and overlooked such heinous incidents. She recalls one time in particular when she revealed to USA Gymnastics coach John Geddert about how Nassar had sexually abused her the night before. This happened five years before Nassar was arrested. Nothing was done. Shortly after Maroney came forward via Twitter, her teammates Aly Raisman, Gabrielle Douglas and Jordyn Wieber also said they were sexually abused by Nassar. In describing how this nightmare has affected her life, Maroney says her healing is a “day by day” process. She describes coming forward as a relief, however. “Like lifting a weight off my shoulders”, she says. Nassar is currently serving 175 years in prison on state and federal charges of criminal sexual behavior. The president of USAG and USOC at the time have resigned. 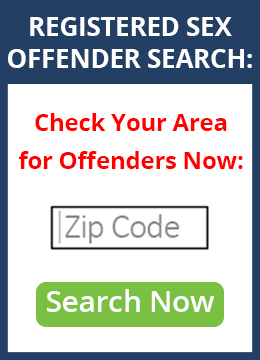 Identify Sexual Predators in your area by clicking here.